PARENTS were urged to take formal procedures in adopting children to deter mistreatment and neglect, following the recent death of a three-year-old toddler at the hands of her adoptive parents. 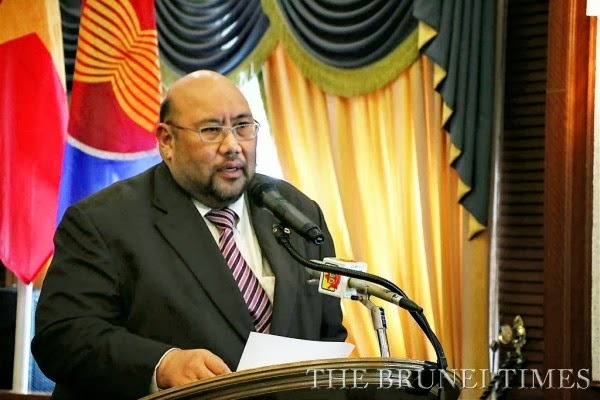 Children adopted without the involvement of relevant authorities are more vulnerable to mistreatment and neglect, as such cases remain unreported, said Hj Mohd Rozan Dato Paduka Hj Mohd Yunos, Permanent Secretary at the Ministry of Culture, Youth and Sports (MCYS). Hj Mohd Rozan drew attention to a high-profile court case involving a married couple, Muhd Firdaus Hj Hamid and Masnani Hj Masri, found guilty of fatally abusing their young adopted daughter within a few days of her informal adoption last September. “The difficulty is that sometimes nobody knows about the abuse until it’s too late,” said the permanent secretary. He added that measures in formal adoption procedures were in place to detect child mistreatment and neglect. He explained that formal adoption could have prevented the death of the three-year-old toddler as the biological and adoptive parents would have been subjected to stringent, screening tests to evaluate their suitability in addition to follow-up reports on the adopted child’s condition. “If it was a formal adoption, it wouldn’t have come to such a stage,” said Hj Mohd Rozan, pointing out that the tradition of informal adoptions, also known colloquially as mengasuh anak, is commonly practised among families. Dr Pauline Ann Meemeduma, a child protection consultant at UNICEF, also weighed in on the homicide case, noting that informal adoptions often fail as the parents involved are not assessed in terms of motivation as well as capacity and resources to take care of a child. “It’s a very good tradition that other people want to extend care, but the rest of us have to be very sure that they are doing it for the right reasons. We want the best of that tradition, but we need to professionalise it,” she said. The tradition of mengasuh anak should not be wiped out, explained Dr Meemeduma, however greater government intervention is required to monitor informal adoptions. “If you do it properly, the country will benefit because we won’t get tragedies like this,” she added.